This is a 5-month, modular, training & development program to build business and leadership skills in managers across East Africa. It is an inspiring and highly engaging learning program combining classroom-based courses, business application, online learning, as well as a strong emphasis on networking. The next program is starting in June 2019 in Nairobi, Kenya. All class dates above will be on Friday and/or Saturday in 2019. Small and growing businesses (SGBs) are global engines of shared prosperity: they drive growth, promote sustainability, and support equity around the world. Further, as another report Education for the 22nd Century points out, there are gaps consisting of soft skills such as determination and decision-making, communication skills, leadership and management, entrepreneurial and critical thinking, and the ability to work in a team. Amani Institute developed this program to address this challenge by focusing on leadership and management skills for middle and senior managers, with the aim to develop the skills necessary to manage SGBs both in the present and in a rapidly changing future world. The program aims to develop mindsets, skills, and knowledge required to create positive impact across three levels: self, team, organisation. This is reflected on the three pillars of the program. We also offer additional elective courses over the duration of the program where participants can select from a diverse range of evening classes which one they can participate in. Not sure what your time through the program will look like? Check out this program outline. All potential participants need to be nominated by their organization first. The nomination form for Kenya Cohort 9 can be found here. Upon receiving the nomination form, we will then send you further instructions on how your employees can apply. If you are an employee and would like to participate, please contact [email protected]. The participant application takes about 20 to 30 minutes to complete. It requires personal and professional information. Applications will be reviewed on a rolling basis, so we recommend that you apply early. The program fee for participating organisations in Kenya is 890 USD (VAT exclusive) per person. Discounts are available for organisations sending multiple employees. It is worth noting that the cost of the program at market rates is approximately USD 5,000 or KES 500’000. The ALMI initiative is partially sponsored by the Argidius Foundation. For further information, check out our FAQ section. What are some of the participant profiles? Is the program only available in Nairobi and Uganda? The ALMI program was launched in April 2017 in Nairobi. We will keep expanding into the East African region over time. How do I know if this program is for me as a manager? You work for a small and growing enterprise (SGB) based in East Africa. You have either people management responsibilities and/or are responsible for a client portfolio. You have strong motivation to learn and develop yourself further and take your organisation to the next level. You have the approval to attend the program from your line manager or leadership team. How do I know this program is right for my organisation? 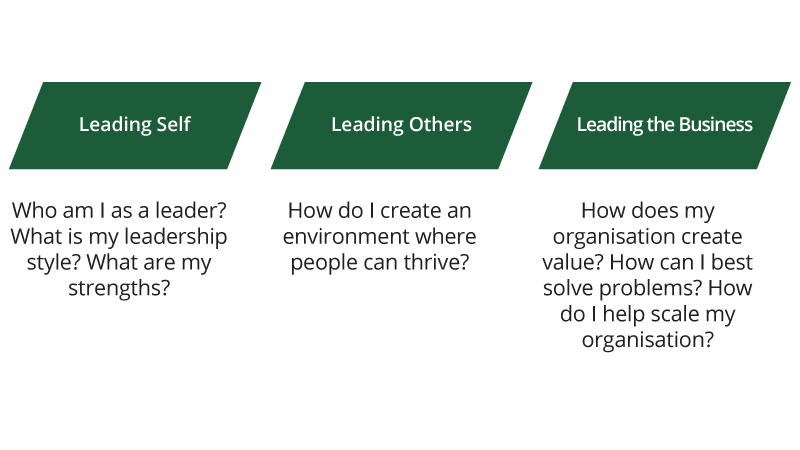 As an organisation, If you can answer the majority of the questions below with yes, then this program is definitely suited for your organisation. Are you a commercially viable business with 5 to 250 employees? Does your company currently have 3 or more managers? Does your organization have the ambition and the potential to expand significantly within the next 1-3 years? Do you believe that investing in your managers is a key success factor to scale your business? What type of organisations take part in the program? Our methodology and approach, and therefore our selection process, is designed for diversity – the program is open to organisations in all industries. 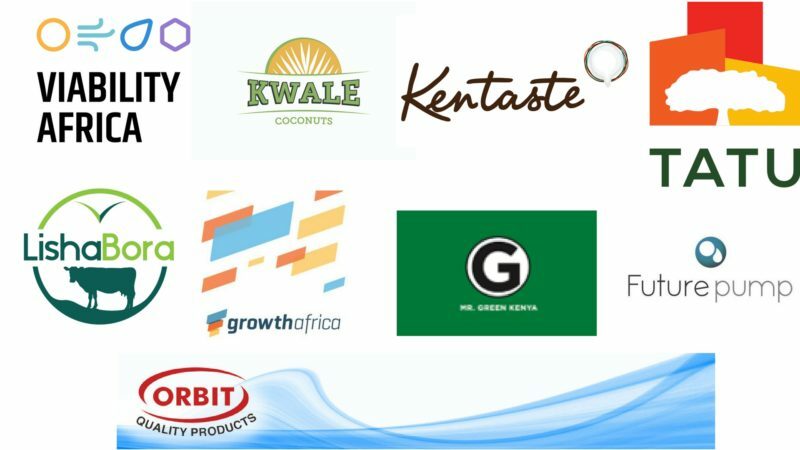 The organisations we have worked with to date come from diverse industries such as; Agriculture, Manufacturing, Energy, Health, Real Estate& Development, Retail, etc. The organisations are a mix of traditional for profit but also social enterprises, ranging between 5– 200 employees. What is the value of participating in the program? As a participant, you will develop skills and networks that take you to the next level. Take advantage of a highly interactive, hands-on curriculum that is designed to help you transfer the skills to your day-to-day job. 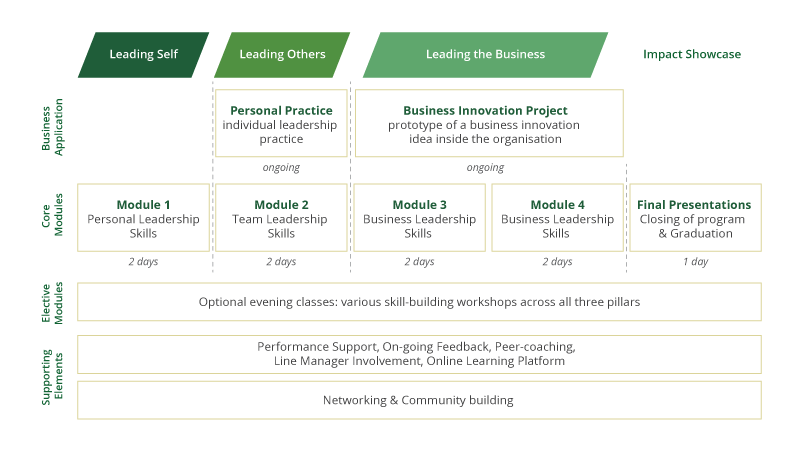 Implement a business innovation project that will create value for your organisation and be a practical learning experience for you. Develop an ongoing peer network across East Africa. What is the value of participating in the program as an employer? As an employer, you will have skilled managers who can take your business to the next level. Positive business results due to your staff having acquired the necessary business and leadership skills to grow the organisation. A solution to retention challenges through having more engaged employees. A talent development option that would otherwise be difficult to afford. Demonstrated proof of your commitment to talent development, which can attract new talent into your company. A local option to acquire best practices from the cutting-edge of leadership and management thinking globally. What type of weekly commitment or intensity can I expect from the program? You can expect to fully immerse yourself in an exciting and challenging learning process. There are a total of 9 classroom-days spread across 5 months; 50% of which are on Saturdays. Therefore the expected time dedication is of approx. 16 hours a month in a flexible format. We don’t believe in grades but in action – there is no traditional final exam but a presentation of the innovation projects you have been working on with your host-organization during your apprenticeship. The final field trip also serves as a closing trip in which we evaluate how your personal and professional development has increased throughout the program and how you can move forward using the tools you have learned. Where will the sessions be taking place in Nairobi? For the program in Nairobi, all sessions are held at the Amani Institute office in Lavington. The program fee for participating organisations in Kenya is 890 USD (VAT exclusive) per person. Discounts are available for organisations sending multiple employees. Please do note the rates were established based on the market value per country. It is worth noting that the cost of the program at market rates is approximately USD 5,000 or KES 500’000. Lunches, coffee breaks and snacks provided during the five classroom modules. Meals, transportation, and accommodation for the offsite as part of module 1 (Kenya). All program materials required to participate in the program. Lodging in Nairobi during the classroom modules. Local transport to and from the Amani Institute. Payment details will be provided upon acceptance to the program.